Well, well, well! In a bizarre turn of events, I have taken up a bit of jogging in the morning. It is probably just a passing phase, and the spring mornings are way too beautiful these days to not be out and about first thing in the morning. Jogging works best if you have good music, good music works best if you have good earphones and a device to carry it in. 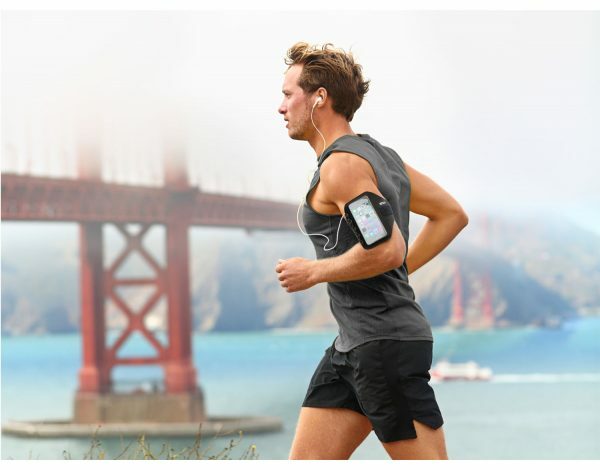 While a lot of small MP3 players focussed on running exist, it is always just easier to have your smartphone handy. Spotify and such services rock, and it is great to just have your phone there to take photos too! 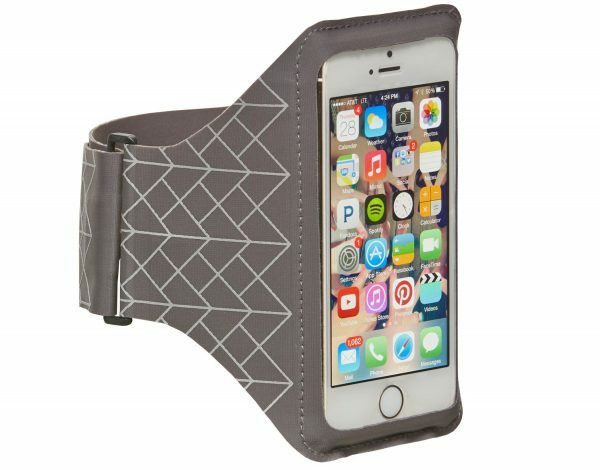 Armbands are an essential way to carry smartphones, making it convenient to access your phone on the fly, and freeing up your pockets to let you run free (all puns intended!). 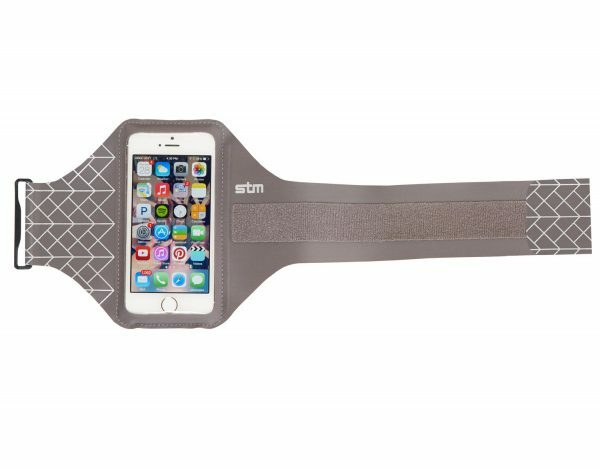 STM has a couple of offerings for this, the Armband for iPhone 5 and the bigger Armband for iPhone 6. We tried the Armband for iPhone 5 for our review. Made of nylon, with a plastic transparent film in front of your phone to access the touch screen, and a small pocket at the back for the likes of credit cards and keys, with a little strap that goes around your arm. Velcro does the magic of holding it all together, and I must say, the grey colour almost reminded me slightly of having my blood pressure measured. A reflective pattern on the side ensures you are visible in the darker hours. Headphone sockets are available both on top or bottom for ease of use. How well does it fit a phone? So, the title says iPhone 5, but you can pretty much put any phone of the same kind of size in there. If you want a bigger phone, try the iPhone 6 armband. Having said that, it is a pretty snug fit. Android phones tend to be thicker generally than iPhones, unless you go for the really thin types, and that makes it a tighter squeeze. Take an iPhone though, and it will provide you with the best possible fit. A bit like having the best possible set of clothes. Takeaway message? It works best for iPhone 5 (and 6 for the bigger version), and other phones may struggle a bit. The snugness sticks there as well. You can squeeze in one card and a key, and preferably either but that is about it. Straightforward and easy. This works well, and once on, it stays on, no matter how hard you are running. It is totally up to you how tight you want it. The size is pretty universal and should work with arms of various thinness and fatnesses. Does the job well, stays on, gives visibility. Bit of a tight fit though.